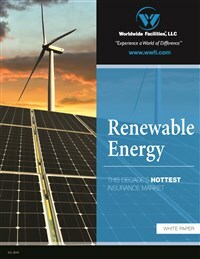 Increasing activity in the renewable energy market points to huge opportunities for retail insurance agents looking to target contractors and operators in the wind, solar, biomass, geothermal, and hydroelectric spaces. Inside this white paper, Worldwide Facilities will give you the tools and the background necessary to grow your business in this decade's hottest market. 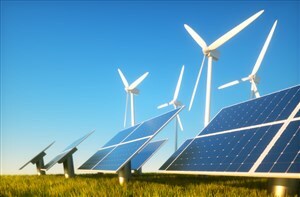 - Why renewables? It comes down to money. - Big opportunities for retail agents. This increasing activity points to huge opportunities for retail insurance agents looking to target contractors and operators in the wind, solar, biomass, geothermal, and hydroelectric spaces.